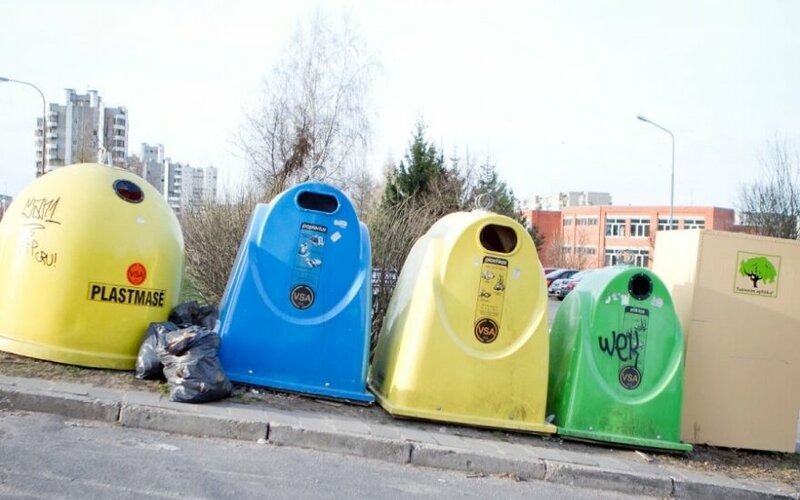 Lithuania is approaching the target established in the waste management plan to recycle or reuse at least 45 percent of municipal waste. According to the estimates of the Environment Ministry, in 2010, 12.8 percent of the total 130,000 tonnes of waste that accumulates per year in Lithuania were recycled or used to generate energy. In 2013, the figure grew to 35 percent. In 2006-2011, a total of 19,700 containers for the collection of secondary raw materials were purchased and distributed. EUR 5.8 million was allocated for this. In 2011 approximately EUR 290,000 was allocated to prepare 388 sites for such containers. In 2011-2014, a total of 262,000 containers were purchased for over EUR 6.1 million and distributed in residential areas of detached houses.